Gymmia grows every day by means of the contributions of users worldwide. Do you realize any center that is not listed here? Contact us!. People would like to get back in shape before the summer bathing suit season starts, so have a look to all the Pennsylvania Gym and go for it!. 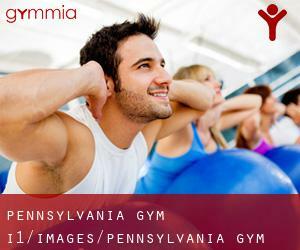 Here's a compilation of each and every fitness center registered at Gymmia in Pennsylvania. If you know any other Gym in Pennsylvania, tell us about it!. Take a couple of bananas to the Gym in Pennsylvania, as bananas help avert muscle cramps resulting from their high magnesium content. Starting the day with some exercise increases physical activity for the next 24 hours. Here you'll get a list of Pennsylvania Gym. Gym in Pennsylvania ordinarily consists of a pool, a sauna, fitness classes, massage, and so forth. Make contact with them to check the offered amenities. Taking Yoga is a terrific option to relieve stress whilst finding in shape at the very same time. Finding the ideal Fitness Trainer in Pennsylvania will need to be enjoyable and thrilling and will need to be one of the first measures in selecting your fitness center. When you get ready to start BodyCombat make sure to think about the times you'll be working out so you can select the perfect gym near you. Countless people that appreciate Indoor Cycling find that spinning when on vacation actually helps them relax more because it replicates the experience they would have at home. Anyone can benefit from studying it regardless of age or gender and it's an awesome method to get in shape while learning tips on how to defend yourself. You could currently obtain countless gyms around the globe by means of this web-site and particularly several Zumba. It is often a beneficial idea to avoid eating heavily before taking Pilates because full stomachs make it harder for the body's blood supply to reach the muscles. It's rather likely that you go through this County Seat when you visit Pennsylvania searching for Gym in Philadelphia. We are confident that its more than 1.526.006 inhabitants will take care of you. Allentown (Pennsylvania) is an necessary Metropolitan Area within the region and has a lot of Sports Centers that may meet your needs. The people today of Pittsburgh will give a warm welcome, and if you say you come from Gymmia remember to ask for a discount. Smart choice if you are seeking a Fitness Center in Erie. Erie is one of the six most populous cities of Pennsylvania. With 101.786 residents, you can come across a Gym around the corner.